As Ubuntu users know, Unity desktop shell had HiDPI displays support since 14.04, however while the unity shell has been able to scale at any fractional value (despite we limited the setting to only 8 values per integer), GTK3 and GNOME Shell just supported integer scaling values. Although I see the technical reason for that (pixels can’t be divided! ), I think that our approach still worked quite well by using proper round functions, as it’s really hard to notice the visual flaws that this introduced at such high resolutions. At the same time, to get proper scaling for GTK apps, we used the stratagem of mixing the UI scaling with the text scaling factor, so that the multiplication between the two values will match the user-requested scaling level. Anyway, this is the past and present, but let’s talk about the future… Ubuntu will use GNOME Shell (in Wayland, when possible), and so far there’s no support for multi-monitor scaling or fractional scaling, but things are changing! 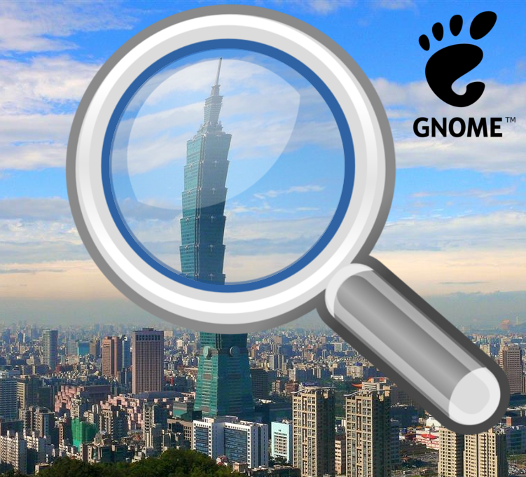 Jonas Ådahl is leading this efforts and he started with supporting a new configuration API for monitors, that is a prerequisite for pursuing the GNOME Fractional Scaling initiative. Basically, the main implementation idea is to make GTK and various toolkits to scale at an higher value, and then using mutter to scale actors down at composition level. While it might be a little more resource intense, it’s also true that this will work nicely (especially in multi-monitor environments with different scaling values) and that there’s no other option, given that GTK scaling system can’t be changed at this point (too many things now assume it’s an integer). Ubuntu cares about having a proper HiDPI support in next releases, so the Desktop Team decided to join the upstream initiative, and since I’m currently around asia, we’ve organized a GNOME Hackfest, that will be hosted by Canonical in its Taipei office in Taipei 101 in order to continue the work Jonas is doing and plan how to proceed with future work items.